Brian Williams may be waiting for the brouhaha to wear off his “mis-remembering” of which helicopter he was in during the 2003 war in Iraq, but the internets will just not let it go. He might have conflated his experience as a reporter with that of the actual soldiers who were fired upon, but the meme police are making sure this faux pas lives on forever, creating hilarious photo “evidence” that not only was Williams at Gettysburg, but also present for the first moon landing and riding along with O.J. in his white Bronco slow roll. Check out some of the choicest photographic “evidence” of the disgraced news anchor below, from some of the funniest minds on the interwebs. Rollin’ with O.J. is totally like getting hit with an RPG in Iraq, since neither one really happened. Remember when Brian Williams did this? Neither do we. Another historic moment…that Williams wasn’t a part of, both above and below. Things are getting even more fictional, with Williams in Captain Kirk’s chair, above, and in Dorothy’s Kansas home, below. Ever wonder if Williams helped Lincoln with his delivery style? Chris Rock nails it here, with a quick jab to Williams’ memory. Tupac? Is that you? Who’s that in the car with you? 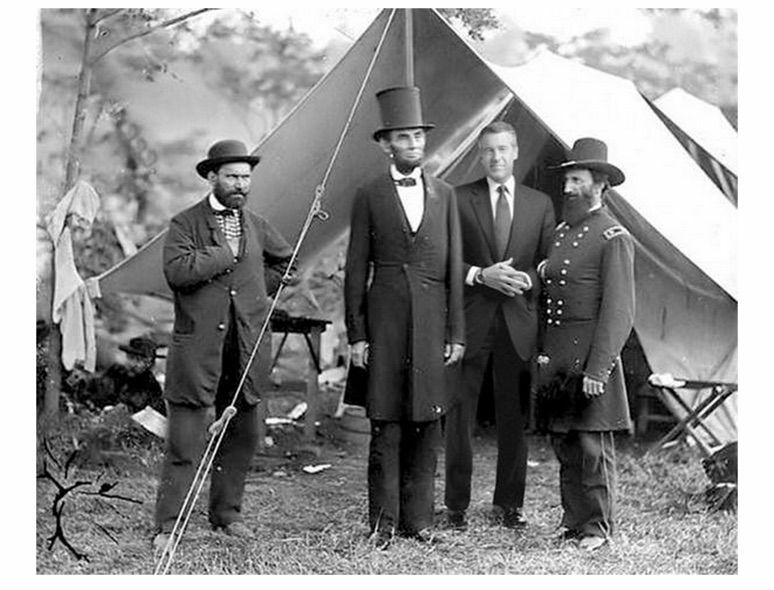 You can continue the hilarity with a quick search on Twitter with the hashtag #BrianWilliamsMisremembers and its variants, or just do a quick Google search on “Brian Williams meme,” if you’re interested.